This is the perfect breast form adhesive kit when you need to make your dollars stretch. Three double-sided breast form adhesive strips per breast forms will keep most-sized breast forms securely in place to allow you to go braless. In this super-saver pack, we include adhesive strips, remover and skin-tac wipes to give you 2 to 3 uses of each set of strips. 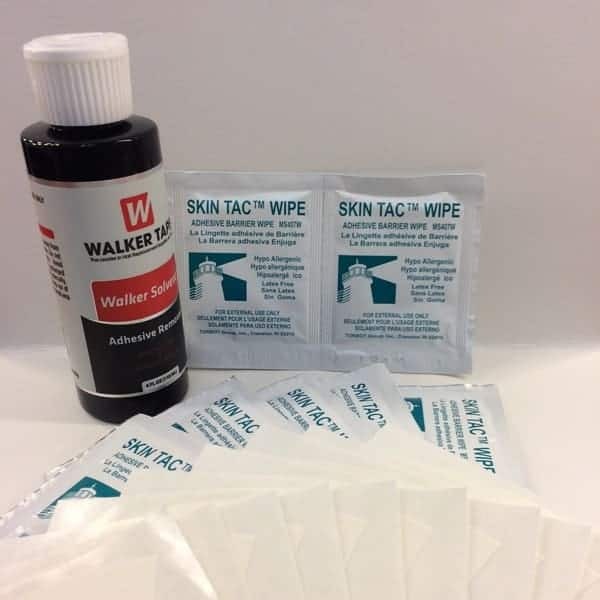 If you follow the instructions for application, you will get at least 2 and sometimes 3 uses from your adhesive strips when used in conjunction with the Skin Tac adhesive wipes which refresh your adhesive tapes before each use. This clever kit truly offers everything you need so that you can attach and remove favorite breast forms. The strong adhesive strips are just what you need to keep your forms secure all day long, and the remover will allow you to remove them without any hassle at all. The tips and instructions will ensure you get the most out of these products. With this bargain bundle, you can finally wear your breast forms on a budget.